Alternative medicines are becoming more and more popular. People are turning away from pills and looking for natural ways to ease their aches and pains. Hydrotherapy is one form of alternative medicine that has plenty of research to back it up. 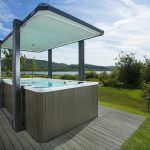 From back pain to sleep deprivation there are several benefits to hydrotherapy that are widely known. In this article we will discuss 4 benefits of hydrotherapy, including some you never knew about. 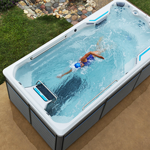 Hydrotherapy provides wonderful relief from pain-related musculoskeletal injuries. These injuries include sprains, strains, cramps, spasms and more. 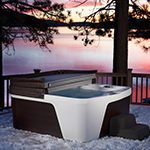 Whether your injury is a frozen shoulder or a sprained ankle, the soothing heat of a hot tub can ease the pain. At some point in time nearly everyone has suffered from a musculoskeletal injury. 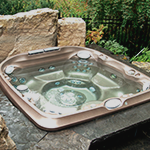 Soaking in a hot tub can increase blood flow to the affected area to promote healing. In addition, the hot water provides a great place for gentle stretching that will aid in the healing process. Recovering from surgery can be difficult no matter what type of surgery it is. Hydrotherapy can help in many cases. Patients who have undergone hip or knee replacement can particularly benefit from hydrotherapy. With these types of surgeries, it’s important to use the joint as you recover, but the pain from surgery can make that difficult. The buoyancy you have in water takes the pressure off your joints. You can move and stretch the joint that has been replaced without the added pressure you would experience with traditional therapy. The same is true for people who have had ACL reconstruction or similar surgeries. There is much less risk for re-injury when using hydrotherapy. Research shows that hydrotherapy can also provide some relief from the symptoms of neurological disorders. Muscular dystrophy, cerebral palsy, multiple sclerosis and even Parkinson’s disease can all have debilitating side effects that are difficult to treat. Hydrotherapy can help ease these symptoms so people who suffer can get back to living. Finally, hydrotherapy can also be effective for people with psychological disorders. Those who suffer from depression and anxiety can get some relief with hydrotherapy. Soaking in water of various temperatures has different effects on the body. When used in the correct combination, patients report feeling calm, happy and an overall sense of well-being. With regular treatment patients can see a decrease in feelings of depression and anxiety. No matter what ails you chances are hydrotherapy can help. 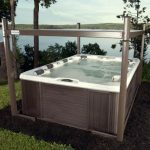 At Texas Hot Tub Company we would love to help you find a hot tub that provides the hydrotherapy that you need. Come see us.